Robert and Jacob are two down-and-out Polish con men living in Israel in the early 1960s. They’re planning to run a scam on an American widow visiting the country. Robert, who masterminds the scheme, and Jacob who acts it out, are tough, desperate men, exiled from their native land and adrift in the hot, nasty underworld of Tel Aviv. 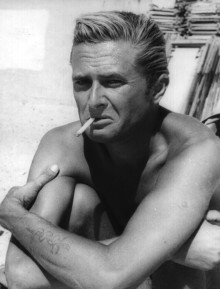 Robert arranges for Jacob to run into the woman, who has enough trouble with her young son to keep her occupied all day. Her heart is open though, and the men are hoping her wallet is too. What follows is a story of love, deception, cruelty and shame, as Jacob pretends to fall in love with the American. But it’s not just Jacob who seems to be performing a role; nearly all the characters are actors in an ugly story, complete with parts for murder and suicide. 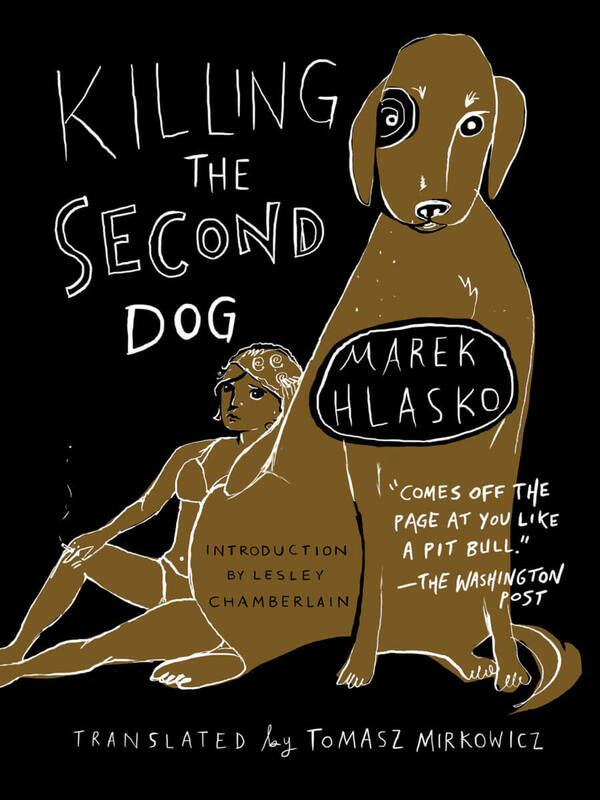 Hlasko’s writing combines brutal realism with smoky, hardboiled dialogue, in a bleak world where violence is the norm and love is often only an act. The novel features a critical introduction by Lesley Chamberlain, noted British journalist, novelist and historian whose books include Nietzsche in Turin and The Philosophy Steamer: Lenin and the Exile of the Intelligentsia. Our host was sitting on the terrace, reading a newspaper. His girlfriend was sitting next to him. When she saw us, she adjusted herself in her deck chair and lowered her gaze to the floor. It was meant to show her contempt. She was putting on an act. Men look only for peace and deliverance; women have to have something churning and shifting in their lives. They’re always very serious about how they feel and genuinely convinced that all those fleeting emotions they take for anger, love, or contempt are going to last forever. “It’s us, Mr. Azderbal,” Robert said. I moved away and sat down on a deck chair next to the girl. She glanced at me in a brief, detached way. I could swear she’d been practicing that look in front of a mirror for the past three months, certain I was going to show up at any moment. But I hadn’t shown up; I had only come now with Robert because we were short of cash. I sat next to her, staring out at the dark garden, while behind our backs the two men continued their loud conversation. “And for the doctor,” the other added. “You should have bought a smaller dog,” Azderbal insisted. “He’s a jerk,” I said quietly, without turning my head. This was how we had planned it; I was to show the backer we despised him and his money, so he would think we had other options and that we came to him only because he lived so close. Azderbal and the girl twitched nervously. I continued to stare into the darkness. “St. Simeon the Stylite,” I said, which was a mistake on my part; I was supposed to remain silent throughout. “But he’s already made a pretty bundle this way,” Robert said. This was her way of getting even with me for having walked out on her two years earlier. She’d been waiting ever since for a chance to take her revenge and was probably disappointed she couldn’t do anything more to hurt me. “If it’s worth my time, you can always count on me,” he said. “Azderbal is a thief,” Robert said. “All Azderbals are thieves,” I replied. “Have you seen her yet?” I asked. “Anything wrong with knocking?” Robert said, interrupting him. I had to put my pants on again; they felt rough and hot, covered with dust. I went downstairs, but I didn’t feel like walking into the street. I stood in the doorway while the policemen sat in their car and stared at me. I whistled and the dog bounded down the stairs. It settled at my feet. We looked like master and best friend posing for a picture. A perfect pair. “The dog’s okay,” the second cop said, signing off. They left. I turned around and went back to our room. Robert was already asleep. Lying in bed I looked again at his white body. It wasn’t a pleasant sight. In a few days I’ll be lying in a hospital bed, I thought, and the doctors will be fighting for my life, like the newspapers say. Will my body be as white and sweaty as his? For some reason, it didn’t matter to me. I threw the sheet off. It made me feel a bit cooler, but not much. I leaned over, touched the stone floor with my hand, and put the sheet on it. Then I lay motionless, beginning to smell the stink of my own sweat. Finally, I dropped off to sleep.